Cannon County Sheriff's Deputy Brandon Gullett was dispatched to 125 Orville Duke Road on Dec. 27 for a report of a subject waving a shotgun at his neighbors. Upon arrival Gullett was met by David Houston Reed, Tammy Elizabeth Palmer and Steven Ron Arrington. They all stated that their neighbor, Sean Martin Kronnick, had pointed a short barrel shotgun at them behind their house. Gullett then asked the three what they were doing behind the house in the dark around the woods, to which Steven Arrington said that he had just put some new tires on his truck and was trying them out. Arrington then stated that he had gone down the dirt road that runs beside Kronnick's residence and on their way back out Kronnick was standing in the middle of the road with a shotgun and flashlight. Arrington stated that to keep from hitting Kronnick he stopped and then Kronnick pointed the gun at them, telling them to get back there and pick up the (crap) they had dumped behind his house. Tammy Palmer said she told Kronnick they didn't dump anything behind his house. Gullett then went to interview Kronnick at 211 Orville Duke Road. Upon arrival Kronnick came outside the residence and met Gullett and Deputy Brandon Mims on his front porch. Kronnick said that he was sitting in his residence when he observed a truck going down the dirt road behind his house. He said he went inside and got his shotgun and flashlight and started walking down toward the vehicle. Kronnick said he stopped the vehicle as it was coming back up the roadway and told the occupants to go back and pick up the garbage they threw behind his house. Kronnick said the girl in the truck stated that she was "so and so's daughter" and he then turned around and went back to his residence, then the police showed up. Deputy Gullett requested that Kronnick show him the weapon, which was in his living room, and Kronnick complied. Gullett took the short barrel shotgun, went to his patrol unit, ran the numbers, and learned it was stolen out of Indiana. Gullett returned to the residence and placed Kronnick into custody for possession of a stolen weapon (theft of property). Deputy Mims also obtained statements from the three victims. 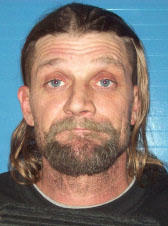 Kronnick was transported to the Cannon County Jail and booked on charges of theft of property, prohibited weapons and aggravated assault with a weapon. Kronnick's weapon (a New England Pardner SB1) had a barrel length less than 18 inches long and had been sawed off. The victims signed warrants on Kronnick for aggravated assault.